As is the trend, popular shows that finish their run tend to have some sort of OVA, whether a full movie or an additional episode. So it also makes sense for when the show gets re-released to also re-release the OVA along with it, which is the case here. 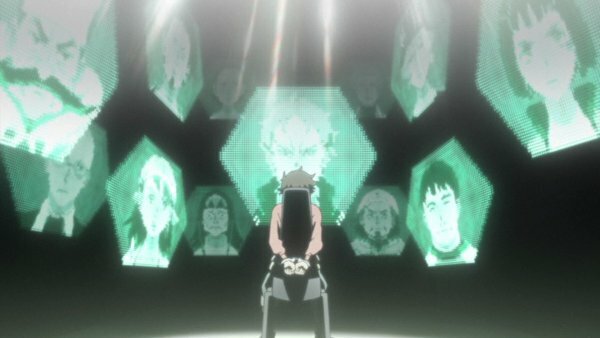 Eureka Seven left very few loose ends to clear up, which is probably why Bones opted to take Eureka Seven: Good Night, Sleep Tight, Young Lovers in a different direction. Just how different a direction is this? Let’s see what the movie has to offer. 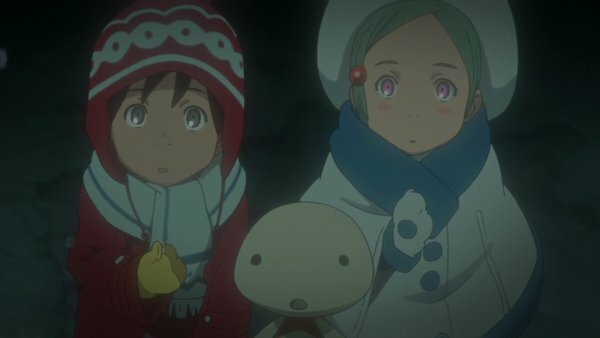 When Eureka Seven: Good Night, Sleep Tight, Young Lovers gets started it is apparent just how different a world this is from the original series. Dominic is the professor of the young Renton, more surprisingly Eureka and Renton knew each other as youths, and even more surprisingly Nirvash is a chibi larvae type archetype. This paints just how drastically different the universes that they take place in, especially coupled with Renton’s description of the setting. Namely, Earth some time after the year 2054 while fighting against a completely different enemy, the EIZO. These differences don’t mark the movie as being bad simply because they are different, but it does create very noticeable problems. Characters and setting being so vastly part make comparison practically impossible, all the while constantly tugging at the memory of how things were in the show. 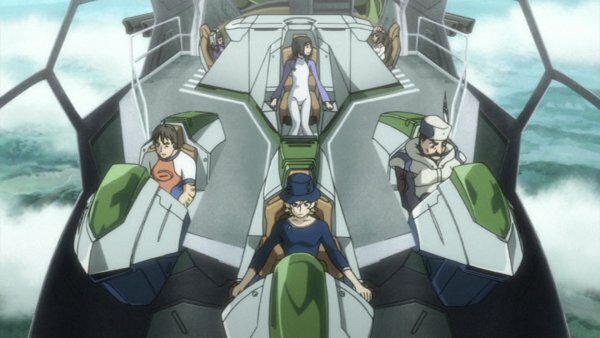 After spending 50 episodes with these characters, seeing them in any other way just doesn’t feel right, even if the entirety has been changed with them. Dewey Novak, the main antagonist of the series, is completely absent and instead hailed as a great hero in this universe, while those on the GEKKO are completely villainous themselves. The main relationship between Renton and Eureka still exists, but instead of meeting and falling for each other, the movie setting them up as childhood friends helps to condense how quickly they fall in love. Though besides the focus on Renton and Eureka, the other main character during the movie is the female Sage that is investigating what is going on with the GEKKO. There is also a huge focus on reaching an alternate world, where time doesn’t exist and everyone can all live together forever. Distractingly though, this alternate world has a moon with Renton and Eureka’s name on it, but no clear indication is given as to whether this is the alternate universe of the original series or a completely different place for the sake of the movie. There is just so much difference, any attempt at rationalizing back to original series falls through and serves to distract the viewer from what is actually going on in the movie, which is a terrible state in which to be. The visuals are still very well done and as an added bonus the movie is in fact widescreen, where the original series had only ever been full-screen. This makes for a much better looking end product, especially for a re-release at this time. However, one of the main problems with the visuals is just how many are reused from the original series. 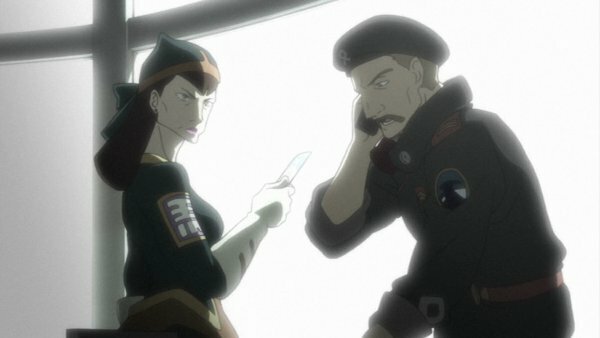 Scenes and entire fights utilize recycled animation and even entire scenes themselves, which just adds to the distraction of remembering the how the scenes played out in the series. It’s one thing to reuse something when making a shortened version of the story, quite another to use it in a completely different context all together. It is great to hear the voice actors back from the original series, but again this is something that adds to the distraction. Though hearing the voice actors give a different performance with the change in the characters is interesting in it’s own right. The music is good for the movie, but there isn’t anything from it that really stands out throughout the movie as really resonating. There isn’t much that could have been done about this however, and it is nice that at least one aspect of the movie doesn’t just distract the viewer by reminding them of the original series. There are a few special features included in the DVD release with the theatrical trailer and TV commercials, in addition to a Making Of featurette. The Making Of giving a lot more insight into why the movie was done as its own story in a completely different universe than the original series. Being almost an hour long the featurette offers plenty of information for any fans wanting more detail about the process from the director and several of the Japanese voice actors. 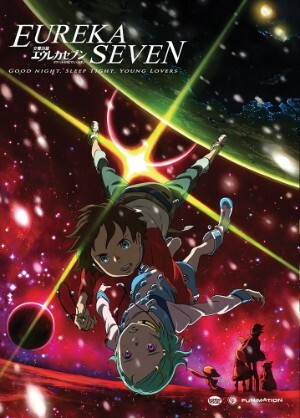 Those fans that come into Eureka Seven: Good Night, Sleep Tight, Young Lovers expecting more about the universe from the show may end up being disappointed, but the movie does does an alright job starting over from scratch to create a completely new story. There are a few problems, mostly with the fact that so much was taken from the series to be reused here that it gets distracting, however those that are able to get past this fact may find something that they can enjoy.